The traditional Indian system of recording the chronology of ancient times in the Puranas was unfortunately discontinued after the Gupta period and consequently, the exact epochs of certain eras faded away from the minds and lives of the people by the 10th-11th century leading to a number of inconsistencies in the chronology of ancient India. Taking advantage of these inconsistencies, Western historians and their blind followers completely distorted the chronology and concocted many false theories to take modern Indian historical research in the direction that suited their biased purposes. 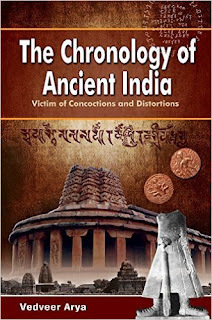 Drawing from direct readings of the original epigraphic, numismatic and literary heritage of India and validating the astronomical phenomena recorded in those sources with data from irrefutable sources such as the NASA data bank on eclipses, the present research work not only rediscovers the exact epochs of various ancient Indian eras but also conclusively exposes the fallacy of the chronology given in the modern textbooks of Indian history. A section of Western scholars dubbed many ancient inscriptions forgeries citing evidence from their distorted palaeography; the rejection of certain inscriptions was inevitable to justify the distorted chronology propounded by 'eminent historians'. This was the biggest fraud committed in the writing of the history of ancient India. This book proves beyond doubt that all ancient Indian inscriptions are genuine if we follow the exact epochs of ancient eras. It logically establishes that the chronology given in the Puranas is not only authentic but also reconciles with the epigraphic and literary evidence. 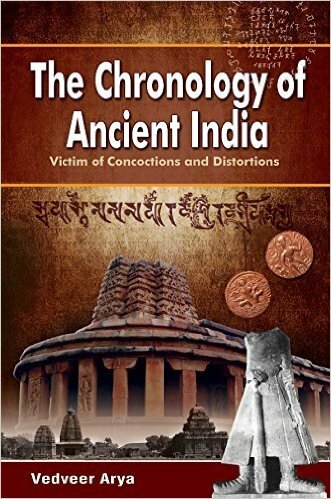 This book also concludes that Indian civilisation is the oldest continuous civilisation that possibly had its origin in the beginnings of the Holocene and we Indians are the direct descendants of this glorious Vedic civilisation.